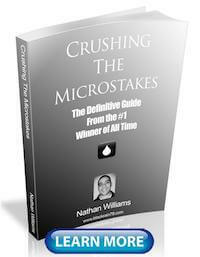 In my experience people absolutely love to over-complicate the game of poker. They want to believe that you need to know a bunch of complex math and formulas in order to win. Or that you need to be able to "read their soul" and bluff raise them on the river. In fact I have even written entire articles in the past about how detrimental a lot of this over-thinking and over-analyzing is to your poker results at the lower stakes. But there is actually one extremely effective basic poker strategy that I have been using for years now and absolutely no one is talking about it. 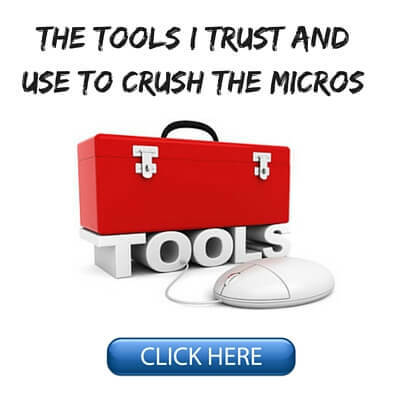 This is crazy because it leads to real results at the poker tables. And it is so utterly simple that I am going to break down this basic poker strategy for you step by step in this article. 1. Basic Poker Strategy - Play With the Fish! The first step in this poker strategy is very, very straight forward. Play poker with fish. It still blows my mind to this day to see that so many poker players voluntarily choose to play in terrible games full of tough regulars. Look, forget the cards. They don't even matter. Before you learn anything at all you need to understand that poker is a game played between people. It doesn't matter how good you think you are, your winnings (or losses) will always be directly attributable to the skill level of the players you are playing against. As I often say, put the 6th best poker player in the world at a table with the top 5 best poker players in the world and he will be the fish. He will eventually lose all his money. So therefore, the best basic poker strategy that you can ever learn is to only play at poker tables that has at least one player who is well below your skill level (a "fish" as we affectionately call them). And I truly mean that. If you can't clearly and quickly identify the reason why you are sitting at a poker table, then you shouldn't be sitting at that poker table. Now what is a poker fish you might ask and how do you spot them? I think you get the idea by now. If you want to know the #1 basic poker strategy that pros use to crush the games, it's to play against guys like this! And once again not just when you feel like it but all the time. Poker pros take poker table selection very, very seriously. 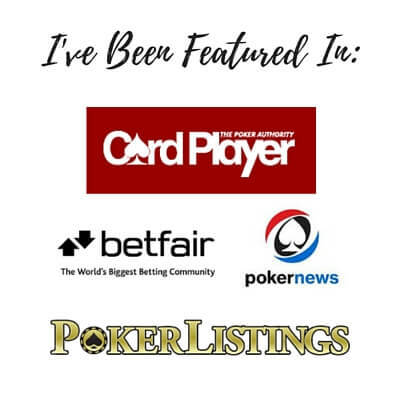 Furthermore, they also know that a big part of good poker table selection is simply playing on the easy poker sites in the first place. Now I get it though. Play with the fish, duh right? You've heard it all before I am sure. There is one more crucial step though that so many people miss (even many pros). Have you ever heard of the "Jesus Seat" in poker? My guess is that 90%+ of the people who read this article have never heard of it. And that is because this is the single most important basic poker strategy that no one is talking about. The Jesus seat in poker is a playful term that we use for the seat directly to the left of the fish. Why is this seat so special you might be asking? Because any time you have direct position on somebody in poker you are absolutely going to destroy them. You have an unbelievably large advantage over them. Most people severely under-estimate the power of position in poker. But all you have to do is open up your PokerTracker database, filter your winnings by position, and you will see exactly what I am talking about. Simply put, position in poker is the key to everything. 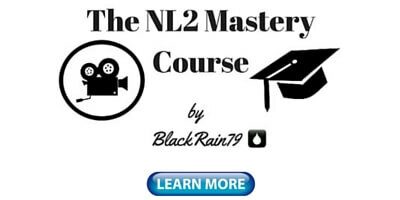 Take two equally skilled poker players and give player A position over player B every hand. Player A will eventually take player B's entire bankroll. So guess what happens when you get position on somebody who is already really bad at poker? (i.e. a fish) Yup, you guessed it, it's gonna be a massacre. So the #1 basic poker strategy that I have been using for years is to simply Jesus seat the fish and print money against them. How Do You Jesus Seat the Fish? So how do you get the seat directly to the left of the fish? Well, like I mentioned before, first you need to identify them. 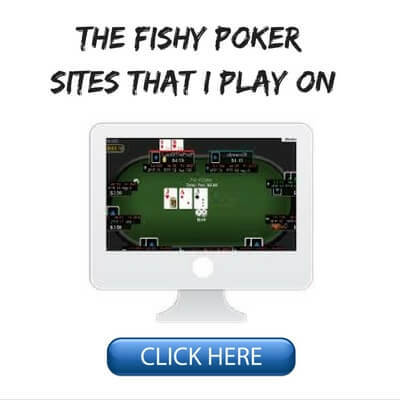 If you have watched any of my live play poker videos before, then you will know that I tag all fish on every poker site that I play on immediately. This way I am always reminded when I play against them in the future. And also, like I mentioned before this allows me to quickly and clearly identify the exact reason why I am playing at that poker table in the first place. If they leave, then I leave. So in order to Jesus seat the fish I will often look for short handed games (tables with empty seats) on either full ring or 6-max tables, look for the fish and simply try to grab the seat on their direct left. Sometimes I will even leave a table and rejoin as soon as I see the seat to the left of the fish become available. But by far the best method in my experience is to simply hunt the short handed games because there is often a seat already open on the fish's left. Now of course, yes this is tedious and it requires a lot of effort and table hopping. I get it, nobody really wants to do that. But ask yourself this, do you want to win at poker? If you use this basic poker strategy of Jesus seating the fish it is simply impossible not to win at poker especially at the lower stakes. Now I should mention that using this strategy is not going to be possible if you play something like Zoom poker. This is one of the main reasons why I typically do not recommend playing fast fold poker games like Zoom poker if having a high win-rate and maximizing your tables winnings is your goal in poker. And this is because in Zoom poker takes away one of your absolute biggest weapons in poker, the ability to table select and also seat select. I would recommend this seat selection strategy specifically to all of you poker beginners out there who may be reading this article. If you were trying to learn a new game like chess for example you wouldn't go challenging grandmasters. No of course not, you would look for other equally or lesser skilled players to play against. So why would you start your poker career by playing against other skilled opponents, many of whom are probably better than you right now? If you are a poker beginner I think making table selection and seat selection a top priority are two of the most effective ways to make sure that you start winning from the start. 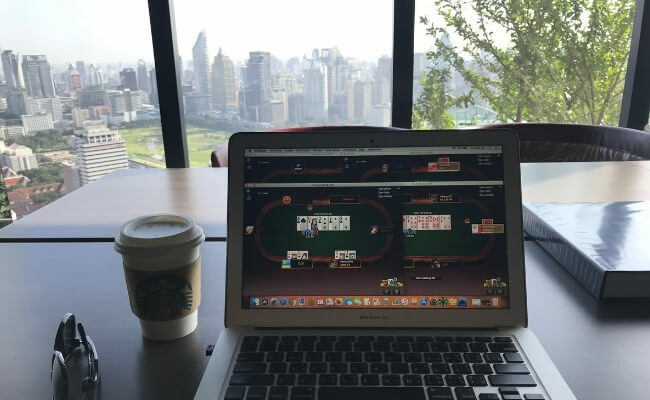 And this is massively important for poker beginners because it will help you build confidence and make you want to play more and study more to improve your poker game. 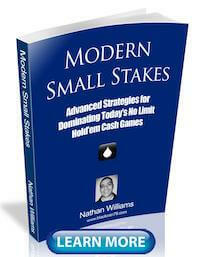 So what is the #1 basic poker strategy that no one is talking about? 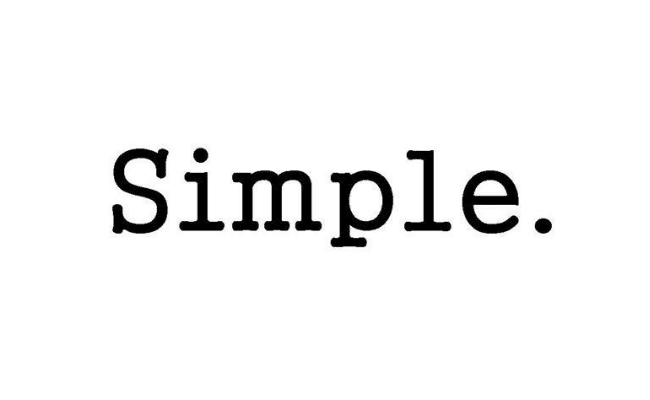 Well, it is very simple. First, find the fish. This is something that you absolutely should be doing already if you take poker seriously at all. Secondly, make sure you grab the Jesus seat to the left of the fish! This is such a simple an easy little poker tip that will skyrocket your winnings. And it still shocks me to this day that absolutely nobody is teaching this fundamental basic poker strategy. This is the core of the game, not how to play your AK in a 3-bet pot. Poker is a game played between people. No matter what your current skill level is, if you consistently play against people who are less skilled than you, then you will win. Period. Anyways, that's all I got for this article. 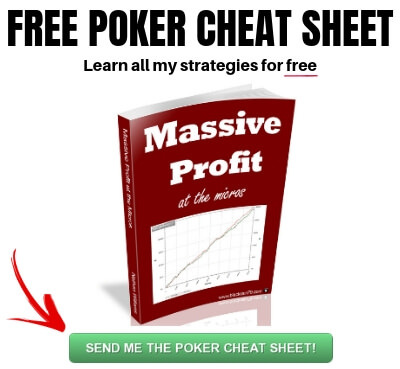 If you want to know how I quit my job to become a poker pro and travel the world (and how you can do it too), make sure you download a copy of my free poker cheat sheet. 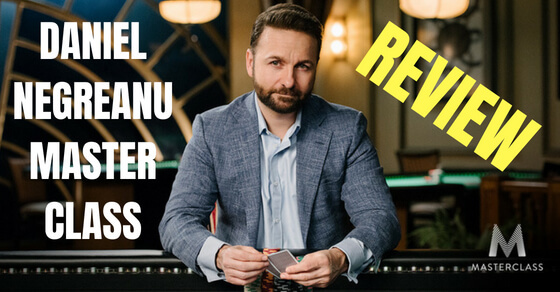 Let me know in the comments below what you think the best basic poker strategy is. After I have begun to take seat selection more serious, it has become pretty obvious to me, that most regulars in my game did already. I mainly play 10NL-25NL full ring on PokerStars at the moment, and its not unusual to see a table with a fish on it but still an empty seat to the direct right of the fish, because none of the regs want that seat. This mean, that if you dont seat select, you will end up with way more than your fair share of "bad" seats. So its not just, that you are giving up on an edge, if you dont seat select, you are putting yourself at a systematic disadvantage. Which is like running a race with your shoe laces tied together. So if you cant be bothered to spend time of table and seat selection, you are probably better off playing a game format, where noone else can do it either. In that way at least the playing field is level. This could be tournaments or even the dreaded Zoom. Or you could play on sites like GG poker, which will seat you at a random table rather than allowing you to select. I agree, I see table and seat selection as simply part of the job if you take poker seriously. Although joining a half-empty table does allow you to choose a seat, one of the drawbacks is that those tables may then 'fizzle out' as players leave. Of course the opposite may happen and the table could fill up, but it's quite common (on Stars NL2 anyway) to join a full ring table that has 6 players and within a short time find that it's down to two or three. A lot of players will join half-empty tables only as a stop-gap while they wait for a seat on a very loose table, for example. Yup you are right but in my experience they tend to fill up more often than fizzle out. In any case I have absolutely no problem playing the fish heads up. So it's actually better in my opinion if nobody joins. Thanks thomas. Most sites have rules in place against ratholing which I think is good. As for them having rules against bumhunting, I will take my business elsewhere in that case. I play poker to win so table and seat selection are a vital part of my edge. flop came 722ss, i cbet $25, both called. turn 6c, sb led jam $144, i reluctantly folded, btn tanked for 5 mins eventually mucked. there you go, i lost 24% of my stack with one hand. What site do you recommend? Going to be a little trickier with the software changes made on sites and the big push to have random seating instead of picking a table or software searching tables. So, in the US, Ignition is the only site I can play in in my state and it only has random seating. I guess it makes it quite difficult to follow your advice and be profitable when it's not able to be applied. Feels frustrating.